Jen O’Sullivan | Holy. Just. Love. New Spring Seasons Prayer Journal is HERE! My heart is that I want to help you pray more this year! Would that be good with you? Prayer is such an important part of my life. I have put together a wonderful prayer journal that we can all work through together. This one is my favorite so far. They are priced at just a couple dollars above the cost to create them on Amazon (only available on Amazon) and 100% of the proceeds goes towards mailing free Bibles to those in need. I can’t wait for you to dive into this new journal! The Seasons Spring Prayer Journal is a 12 week guided prayer journal that focuses on God’s redemptive plan along with a personal daily calendar section and meeting/sermon notes section. In the Prayer Journal section, every 7 days the weekly theme will change, bringing you a daily bible verse leading you through the story from who God is, to the perfect life of Jesus and the sacrifice He made, to your salvation through grace alone by faith alone, to the Holy Spirit, fellowship, and our duty to the world as Christians. It is encouraged to memorize each verse as you move forward. By doing this you will effectively be able to share the full gospel message using scripture alone. The weekly themes are as follows: God is the Creator, God is Holy, God is Just, God is Love, God is Merciful, Jesus Paid the Price, Turn & Trust in Jesus, Saved by Grace Alone, The Holy Spirit, Spiritual Gifts, Church Community, and The Great Commission. Which one is your fave? I like them both. 😀 A friend of mine had a great idea: she is working through two of them. One she uses in the morning for one area of her personal life and one she uses in the evening to work through prayer for others. Such a great idea! Take a look at how pretty this journal is! I recommend getting the color version, but the monochrome one is beautiful too! 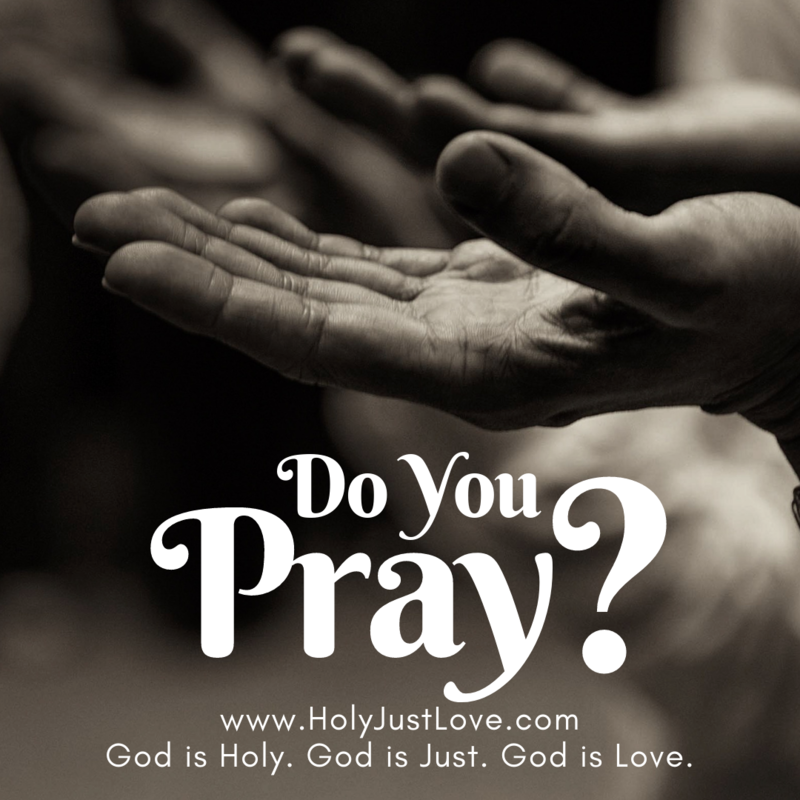 Join me Sunday February 24th at 2pm live at www.facebook.com/JenOSullivanAuthor as we take a deeper look at the importance of prayer: why we should pray, how we should pray, where we should pray, and the three different types of prayer you should be involved in. Bring a friend! It is recommended that you read the entire Bible cover to cover as often as you can. It is the greatest way to guard yourself agains hearsay (rumors of theology that are not true). If you are new, there is a slightly different approach as described below. Once you get through the first approach, come back every year and make a point to read the entire Bible in one year. There are several apps and programs you can use to read daily and it will keep you on track giving you some Old Testament and some New Testament every day. I like using YouVersion app for this. It only takes around 71 hours to read through the entire bible so if you spend just 12 minutes per day reading, you will read the entire Bible in 365 days! You can even set YouVersion to wake you up at a certain time every morning and prompt you right where you left off. Wake up. Read for 12 minutes then start your day. If you are brand new to the Bible, here is a little background to help you get started. The Bible is a series of letters and manuscripts from various authors throughout Old Testament times (before Jesus came to earth) and New Testament times that is telling the story from eye witnesses of when Jesus was here and then letters to churches after Jesus left. It is an account of the foundation and early church history along with predictive prophecy of what is to come in our future. There are 39 Here-Aramaic books in the Old Testament from Genesis to Malachi and there are 27 books in the New Testament from Matthew to Revelation for a total of 66 books in the Bible. The Catholic Bible has an addition of 7 additional books that are considered the “Apocrypha”. The Protestant Bibles do not contain these because they are of unknown authorship or are of doubtful origin. You will see the Bible broken up into Books, Chapters, and Verses. These were not there in the original text but is helpful for us today as we read and note various locations. While many think you should start at the beginning of any book, while true in most cases, the Bible is a little different. It is best to look at each of the 66 books of the Bible as individual books that inform and help reveal the entire story of God’s plan. 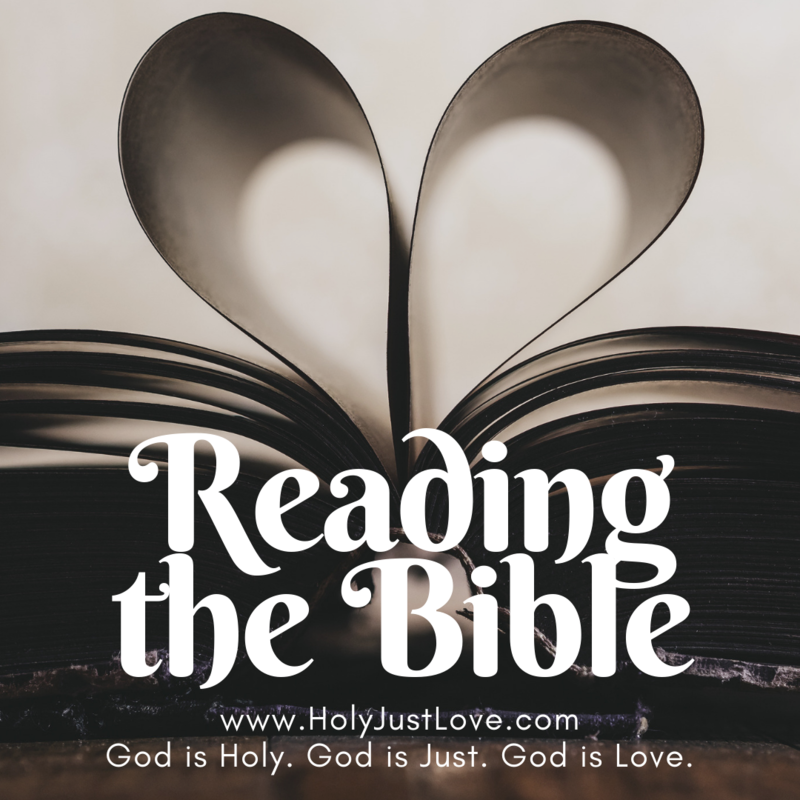 If you are new to Christianity or new to reading the Bible, t is recommended that you start the book of John. It is found in the New Testament in the last half of the book. John is the 4th gospel. Matthew, Mark, Luke, and John are all gospel messages of the life of Jesus according to that specific disciple’s perspective. Once you finish John, skip over to Romans a couple books later. Then read James. Along the way feel free to mix in Psalms and Proverbs as they are very uplifting and encouraging. Once you have a good understanding of Jesus and the gospel message, head to the beginning of the book at Genesis. Jesus was there at the beginning so it is exciting to read it with that truth already in your understanding of the story. Feel free to read through Exodus if you want to get a good understanding of Moses. Then go back to the New Testament and start reading through all the gospels: Matthew Mark Luke and John again. Remember they are all the same account from 4 different perspectives. Then simply continue reading through the Bible to the end. After John, keep going with Acts, then all the letters starting with 1 Corinthians. Every time you get to the beginning of the next book, read the introduction so you understand who wrote it and to whom it was written. As you read, consider the context it was written in, who it was written to and why. Ask yourself what did this mean to the people then, what does it mean universally to all of us, and what does it mean to you now. Then go through the letters. 1 Corinthians on the the end of the Bible. Sprinkle back in Psalms as it refreshes the soul. Once you finish Rene Er what I said at the beginning to read the ENTIRE Bible. Go back and get into all the Old Testament stories. It’s quite incredible! I hope this helps you to break things down a bit and get you on the right track. If you need a Bible and do not have access to one or cannot afford one, please allow me to send you one. Send an email to jen@jenosullivan.com with your name and address and let me know you are excited to start reading the Bible! Proof of Salvation: Can you know for sure if you are going to Heaven? Let’s clearly define the gospel message of the Bible before we get started. God is Creator: He created you and me. This means He has ownership of us. All of us. 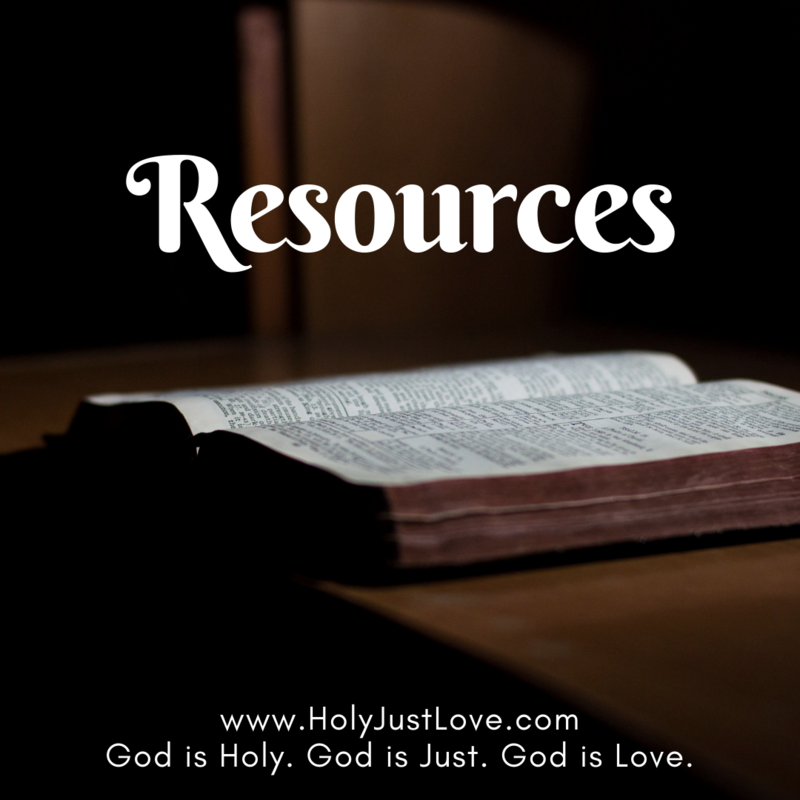 God is Holy: He is fully set apart from us. He is perfect. God created man to be in perfect harmony with Him out of the outpouring of His love. We sinned… we are sin. We decided we wanted to be like God and selfishly shy desired to be God. We chose to disobey God our creator. God is Just, we deserve to be punished. God is Love, he has a plan to redeem us! Jesus paid the price! Jesus lived the live we never could. A perfect life. Blameless and pure. And he died the death we deserved but now do not have to. When God calls you to Him there is two options. Ignore the call and face eternal separation in Hell without Him or embrace His incredible invitation. We must heed the call and turn and trust in Jesus. Repent and have faith that your sins are forgiven and you are saved through faith alone, by the grace of God alone, through Jesus aline, to the glory of God alone! If you consider yourself a Christian, and would like to have absolute assurance of your salvation, I encourage you to consider the following two passages before moving forward. … This is the third time I am coming to you. Every charge must be established by the evidence of two or three witnesses. I warned those who sinned before and all the others, and I warn them now while absent, as I did when present on my second visit, that if I come again I will not spare them-  since you seek proof that Christ is speaking in me. He is not weak in dealing with you, but is powerful among you. For he was crucified in weakness, but lives by the power of God. For we also are weak in him, but in dealing with you we will live with him by the power of God. Examine yourselves, to see whether you are in the faith. Test yourselves. Or do you not realize this about yourselves, that Jesus Christ is in you?-unless indeed you fail to meet the test! I hope you will find out that we have not failed the test. But we pray to God that you may not do wrong-not that we may appear to have met the test, but that you may do what is right, though we may seem to have failed. For we cannot do anything against the truth, but only for the truth. For we are glad when we are weak and you are strong. Your restoration is what we pray for. For this reason I write these things while I am away from you, that when I come I may not have to be severe in my use of the authority that the Lord has given me for building up and not for tearing down. Therefore, my beloved, as you have always obeyed, so now, not only as in my presence but much more in my absence, work out your own salvation with fear and trembling,  for it is God who works in you, both to will and to work for his good pleasure. Do all things without grumbling or disputing,  that you may be blameless and innocent, children of God without blemish in the midst of a crooked and twisted generation, among whom you shine as lights in the world,  holding fast to the word of life, so that in the day of Christ I may be proud that I did not run in vain or labor in vain. Even if I am to be poured out as a drink offering upon the sacrificial offering of your faith, I am glad and rejoice with you all. Likewise you also should be glad and rejoice with me. There are 24 areas or fruits to consider in your self evaluation. No one is perfect but as a Christian we desire to move a little closer to Jesus each day. Our hearts desire to follow Him and please our God. To hear Him say “well done my good and faithful servant” at the end of our life. I pray that you approach these areas prayerfully and as authentically as you can. Work out your own salvation with fear and trembling. Examine yourselves, to see whether you are in the faith. Fruit #5: Do You Find Assurance or Conviction When You Read the Entire Book of 1 John? Are you going to heaven or hell? 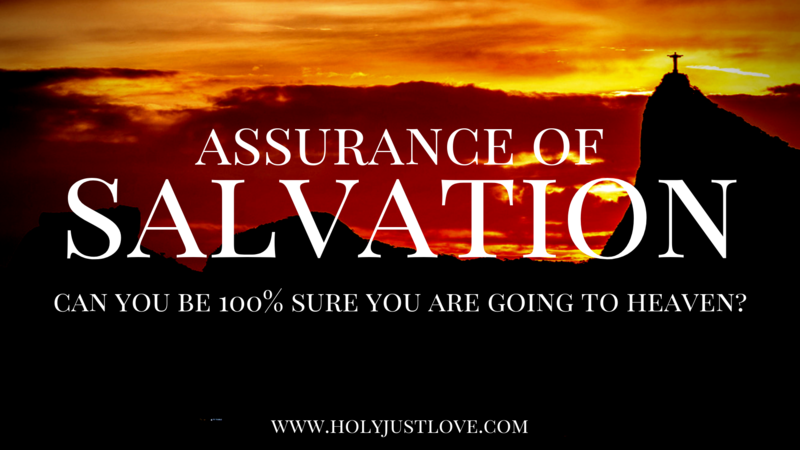 Can you be sure of your salvation? 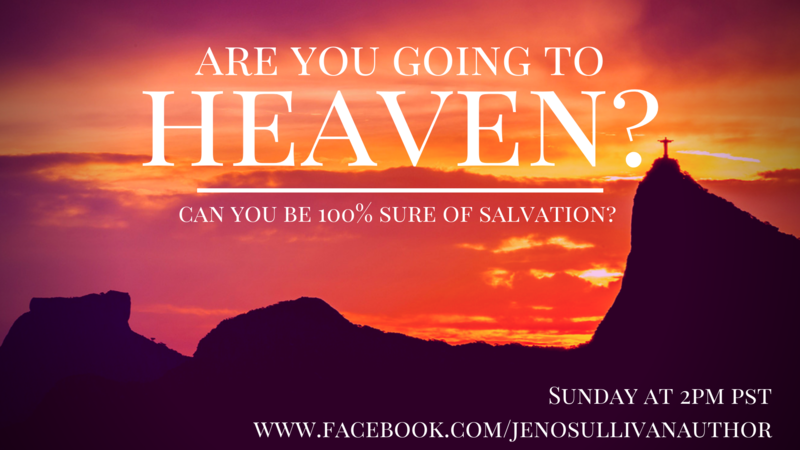 Join me this Sunday at 2pm PST at http://www.facebook.com/jenosullivanauthor to go through an audit of your salvation. Let’s work out our salvation with fear and trembling and check to see that we are of the faith! My heart is broken for my sisters out there who have been lead astray by this massive series. 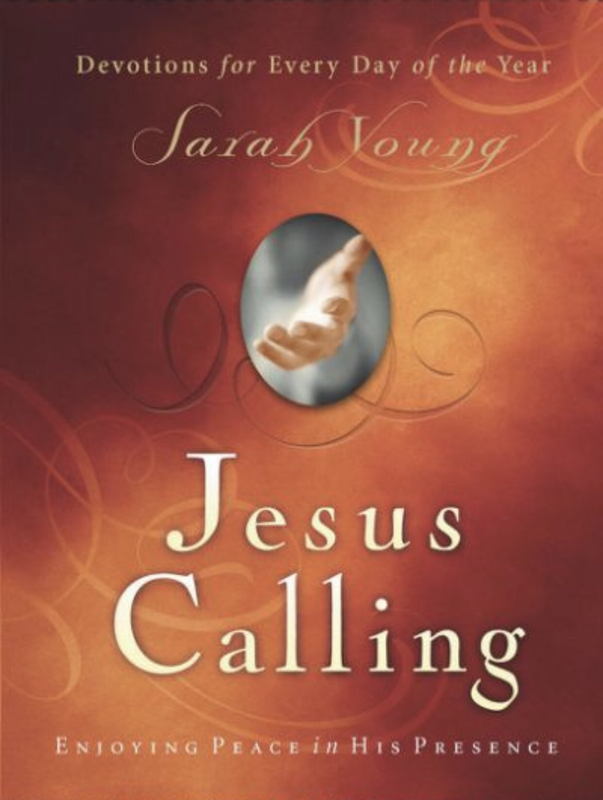 Every single time I speak out against Jesus Calling by Sarah Young I get spiritually attacked and I expect to be again with this post. It has infiltrated so many homes and lives at a horrific rate. You may wonder, why the fuss. You may think it’s a good way to help people connect with Jesus. I understand where you are coming from but will lovingly and wholeheartedly disagree with it being something anyone should have in their homes. I’ll go so far as to say burn them all. Any copy in any form that you have from this series should be torn up and burned. Rather than go point by point as to why, it is better for me to direct you to a post done many years ago that shares exactly my feelings on this series. Thank you Tim Challies for breaking it down so well. Be blessed by this my friend and know that the Bible is the only word of Jesus that you’ll ever need. http://www.Christianbook.com ~ buy a Bible! I recommend the ESV. BlueLetterBible.org or the App or Strong’s Concordance is excellent to have on hand to look up original text words. The Winter Edition of the Seasons Prayer Journal and Calendar is here! The outside features a beautiful frosty leaf and the inside has fun line art drawings of pine cones and evergreens. This Journal is large at 8.5×11 inches (letter size) and is over 180 pages long. It will take your through a Prayer journey of 12 weeks with guided prayer prompts, daily Bible verses, weekly sermon notes, and monthly and weekly calendars. Get organized and more disciplined in your prayer life this year with the Seasons Prayer Journal and Calendar Winter Edition! To see all the journals available for this season, click on each link. The Seasons Prayer Journal is designed to help you connect with God on a daily basis. It includes a guided daily prayer log along with a daily Bible verse. At the beginning of the journal there is a space to write in your month-at-a-glance calendar and at the beginning of each week there is a week-at-a-glance page. At the end of each week there is a spot for weekly reflections and a spread to take your Sunday sermon notes. This journal is something that is to become a daily companion. You may purchase a hard copy of one of the 8 different designs on Amazon (see below) or you may print off a copy for yourself. Before you download your free copy, I ask that you consider making a tax-deductable donation to the missions ministry of Christ Community Church, my home church. We are building a missions program in Japan and you may know I have a heart for Japan as my husband is Japanese. Even if you only have $1 to donate, it will be very helpful! Here is the download link to the Journal. If you would rather get a hard copy, there are 8 different versions to choose from. See below.